Usenet. It’s one of the Internet’s best kept – and least understood – secrets to date. It’s not because Usenet is difficult to grasp conceptually, or you need a large base of tech knowledge to get started with the software. Usenet is a powerful tool made for connecting and file sharing that can be used with ease if you introduce yourself to the basics. It’s not hard to learn how to take the first few steps into this new world. We’ve broken it down into 7 simple, need-to-know parts for you to understand everything from A to Z about how Usenet works, what it is, who’s using it and everything in between. 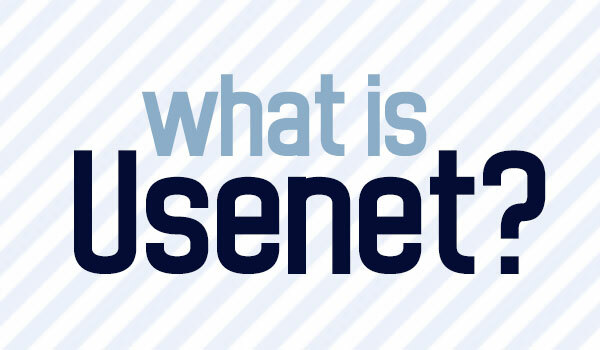 But first… what is Usenet? Usenet is an online file-sharing platform that was started as a bulletin board service (BBS) for people to send text based messages back and forth to one another. Obviously, in today’s world, online forums for text messages aren’t needed as heavily with the invention of mobile messaging, social media and the other modern conveniences of 2000’s technology. However, once people understood how to convert digital files like photos, movies and other content to text form, Usenet became something completely different. It turned into a way to share files back and forth that is used by many people today. 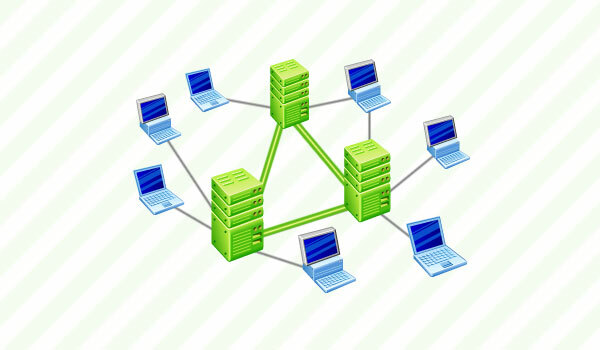 Usenet is divided up into different categories known as newsgroups or alt binaries. These categories don’t necessarily have anything to do with news; some people may actually be posting text messages to these groups about news or politics, but most people just use alt binaries as a category system to find what they’re interested in, like animals, or movies or cars. If this concept is confusing, just think of newsgroups like the categories of any message board site, like subreddits on Reddit.com. 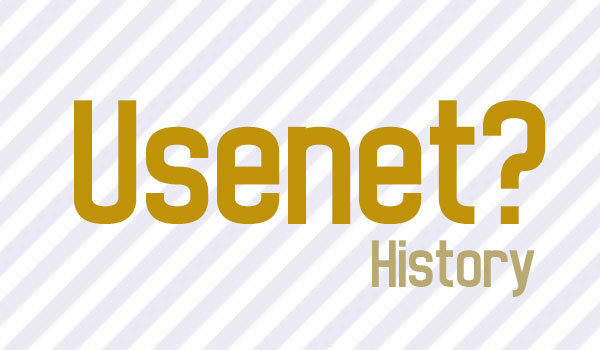 Where did Usenet come from? Usenet was developed in 1979 by two students at Duke University. It went by a few different names before finally becoming Usenet, but the intended purpose was always the same: to allow people to communicate messages back and forth. Originally, the protocol for Usenet was pretty limited, but thanks to software developers across the United States, the project was built up pretty quickly. One developer in particular was developing Uuencode at the University of California Berkley, which acts as a bridge between binary files and raw text. This bridge was part of what enabled file sharing to be so easy with Usenet. Fun fact: Uuencode is the same system that enables email attachments to be sent back and forth between users. What do people post to Usenet now? Anything can be posted to Usenet, and for many users that’s a large part of the appeal. The content of the newsgroups is completely unregulated. This can be good, depending on what you’re looking for. However, newcomers to Usenet should be aware that because the content is unregulated, you may stumble upon something you weren’t looking for, from adult content to illegal activity. However, don’t let this scare you if you’re new to the system. Stick to the newsgroups you’re interested in, and with a little bit of skepticism you’ll quickly be able to identify when something isn’t what you were looking for. Unfortunately, Usenet is not as easy to access as other file-sharing services, like online movie and television show streaming sites. You can’t just log on with your desktop computer or mobile device through a major Internet service provider and gain access to this whole new world. However, once you take care of a few important logistics, you’ll be on your way to using it before you know it. The first thing you have to do after deciding you want to explore Usenet is to get a provider to help you access it. These providers need software packages that support the protocol. These packages are called newsgroup readers, and are fairly easy to get around the Internet. Most of these software packages are not free; the most useful and powerful ones will cost some money. Different packages provide different benefits, but the most popular ones are Newsbin and News Rover. Some providers even provide Newsbin for free. If you have trouble navigating your software, there are plenty of online tutorials across the Internet to help you understand what you’re working with. Once you have your software package, the next thing you have to do to access Usenet is to create an account. Accounts are handled by independent Usenet providers and do typically come at a cost; however, this cost is relatively low. Usenet account holders typically pay between 10 to 30 dollars per month to maintain their account. Once you have both of these components in place, you are able to log on and take advantage of everything that there is to offer. 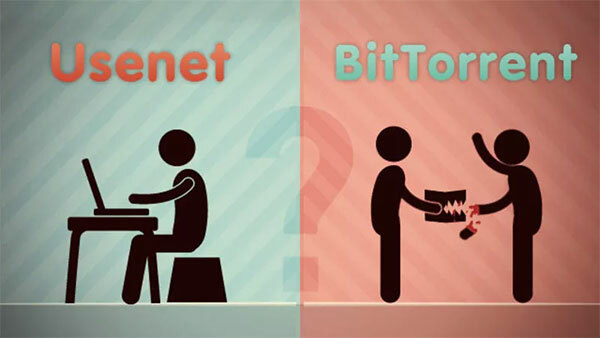 What’s the difference between Usenet and torrents? When people hear what Usenet is utilized for these days, many people’s minds immediately jump to torrenting services like BitTorrent or the infamous Pirate Bay. While both torrents and Usenet offer the same service – to download large media files for free – there are definitely a few advantages to using Usenet over torrent services. First, Usenet utilizes your maximum available bandwidth, which means you’re downloading as fast as your Internet connection is able to handle. Torrents typically do not download at this speed, which means they take much longer before they are ready to view or use. Usenet also allows for encrypted downloads, meaning your information is protected from those outside of your Usenet provider. When you download via Usenet, you are not operating on a peer-to-peer protocol; you are not required to upload any information to other users’ systems and therefore do not waste any bandwidth. While torrents are typically the more popular or well-known type of file sharing service, Usenet definitely has several important advantages over these services that may make you consider switching over. While experiences will always vary depending on the type of content you are downloading and who you are downloading it from, Usenet is generally regarded as safer than torrent services when it comes to potential exposure to viruses, information leaks and other issues often associated with downloading large files via the Internet. There are a few reasons why Usenet has a few extra safeguards in comparison to torrent services. First, you do not have to seed or upload for the file that you are downloading with Usenet like you do with services such as BitTorrent. This protects your IP address from being released to strangers online; in fact, the only person or entity who will ever see your IP address is your Usenet provider. If you are dealing with a reputable provider, your information will remain safe, secure, and anonymous under their care. Cyber security experts also don’t strongly recommend or insist the use of a virtual private network (VPN) with Usenet like they do with torrenting services. While it is possible to use Usenet with a virtual private network, the level of data encryption is not needed like it is with torrents. As with any file sharing service, it is imperative to understand that any files you may download may contain a virus. Posts on Usenet all have a comments section; be sure to read it thoroughly before downloading any files to see if users have experienced any issues with malware or viruses. It is also a good idea to scan any files you download from file sharing sites, whether it be Usenet, torrent sites or other file sharing services, with anti-virus software before opening them. This will safeguard your devices from potential malware. Usenet as a service is also completely legal; if you are uploading or downloading anything to Usenet that is not under copyright restrictions, you are participating in completely legal activity. It is important to remember that uploading copyrighted material to the Internet in any form is illegal and can have serious repercussions for those involved. You should always ensure that the material you are downloading from Usenet is legally allowed to be shared. Why doesn’t everybody use Usenet? Usenet is a fantastic service. With only a few low barriers to break down before getting started and so much content to be discovered and shared, it seems absurd that Usenet isn’t better known. However, Usenet is older technology that competes with popular torrent services. There are extra steps you have to take and investments you have to make with Usenet that you may not have to make with torrenting sites and software. However, when you take into account the convenience, freedom and safety of Usenet, it’s worth making the switch. We encourage anyone reading this to take your first steps into the Usenet world and uncover all the content and ideas that there are to see. Now that you understand the basics of what Usenet is and how it operates, we hope that you will be comfortable exploring this amazing resource.